I love reading posts where you can learn a little more about someone! 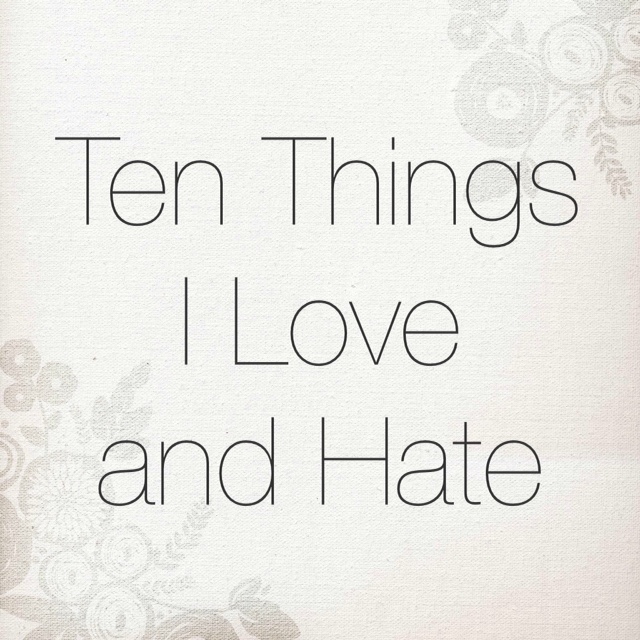 I was tagged by Lana of Two Teens and Their Mama to share 10 Things I Love & 10 Things I Hate/Dislike and without further ado, here's my list! What do you love and hate/dislike? I tag anyone who hasn't joined in yet! We're very similar! I am terrified of roller coasters, all through life people have tried to get me to ride them and 'get over it' and I've tried, but still hate them!